It’s that time of the year! The nights are getting longer, the days are getting colder, and soon we’ll gather with friends and family to exchange gifts and reminisce on the year that was. Be the star at your holiday party by giving everyone on your list the gift of a smarter home. We’ve put together a list of all the Yonomi-compatible gear that your friends and family will love, from young kids to picky teenagers to the tech-challenged grandparents. Nothing lights up the imagination of young children and the nostalgia of adults like Mickey Mouse. Google has teamed up with OtterBox to offer this officially-licensed Google Home Mini stand. Google Home Mini in Charcoal must be purchased separately. Have a teenager on your list that just can’t seem to get out of bed? 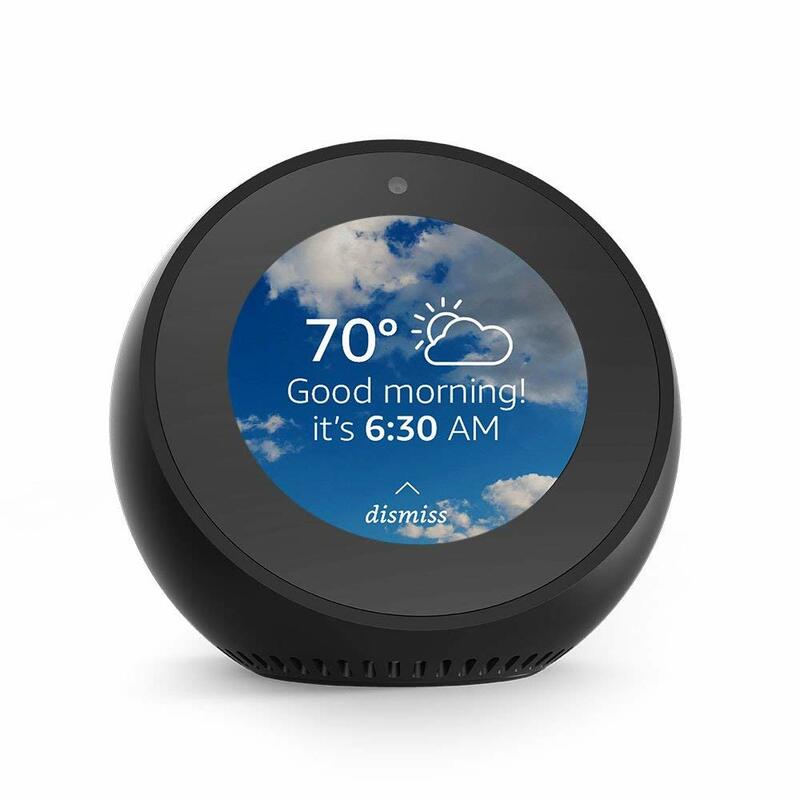 The Echo Spot acts as the perfect alarm clock—displaying key information, playing music, and letting you control all of your smart home Routines using your voice and the Yonomi Alexa Skill. Oh, and through Alexa’s Drop In feature it can double as an intercom to let your teenager know that they’re walking to school if they don’t get out of bed soon. The Logitech Harmony Hub is the missing link that can turn any normal gaming setup into the envy of the entire neighborhood. The Harmony Hub acts like a smart remote that can turn 1,000s of popular entertainment devices on and off. Use the Harmony Hub and Yonomi Routines to dim the lights, power on your TV, turn on your Xbox or Playstation, and turn up the volume on your sound system. Done whipping your friends in FIFA 19 for the night? Power everything down and turn the lights back on with a single tap. Have parents or grandparents that wish they could see their grandkids more often? 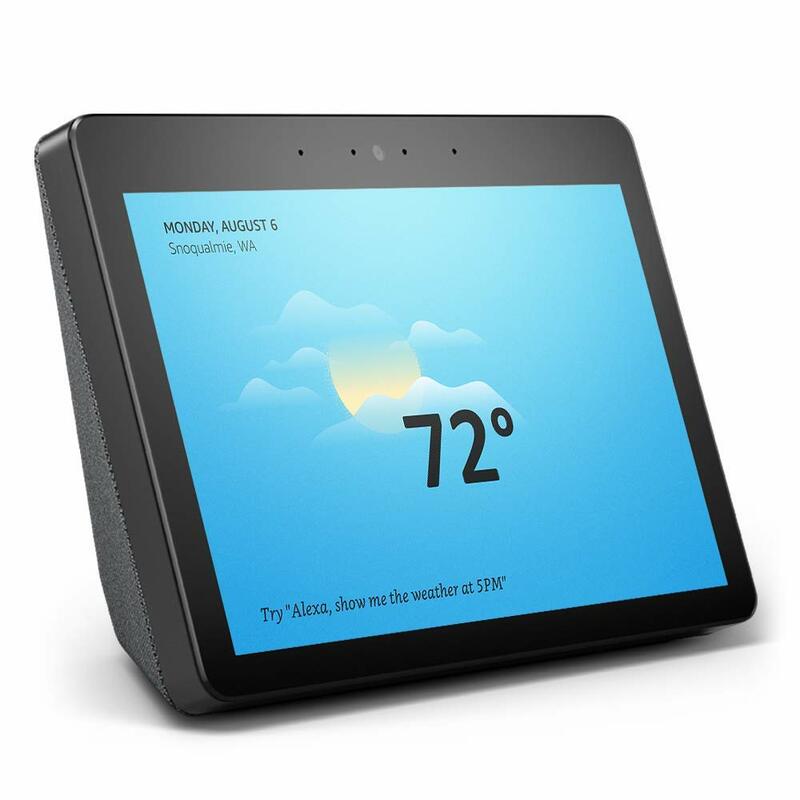 The Echo Show adds a 10.1” display and built-in webcam to the power of Alexa to make it easy from them call you up with a single voice command. And they can ask Alexa for weather, news, and music without having to get up and walk across the room. Just be prepared for when grandma and grandpa start talking about how much they love their new friend, Alexa! Installing a keyless smart lock in your home will completely transform your daily routine. You’ll forget about the days when you had to rummage through your pockets or handbag for your keys when you got home. You’ll also never have to wonder if you locked the doors when you’re 10 miles down the road. With a single tap on your phone, your home is always secure. The Schlage Sense deadbolt is made by one of the oldest and most trusted names in home security, and offers an attractive range of finishes to fit any home’s design. Let’s face it, as amazing as smart home technology can be, if you don’t own the home where you live it can be tough to justify the time and cost of retrofitting all your locks and switches. Smart bulbs present the perfect option for renters because it only takes one person and a little free time to screw in a few light bulbs. This Starter Kit from Philips Hue will transform any apartment into an always-perfectly-lit smart apartment. Know someone that loves cooking and hosting? The all-new Google Home Hub add a 7” display to the same Google Home experience you love so you can watch video recipes on YouTube, make calls, and keep an eye on the front door for dinner guests all while controlling your entire home using your voice and the Yonomi app for Google Assistant. Every music lover knows that when looking for a wireless speaker system that pumps high fidelity sound, Sonos has no match. Whether it’s your first Sonos speaker or just rounding out an existing Sonos system, the Sonos One is always a welcome gift. With support for hundreds of the most popular smart home devices, Yonomi is the best way to create automated routines and bring your home to life. 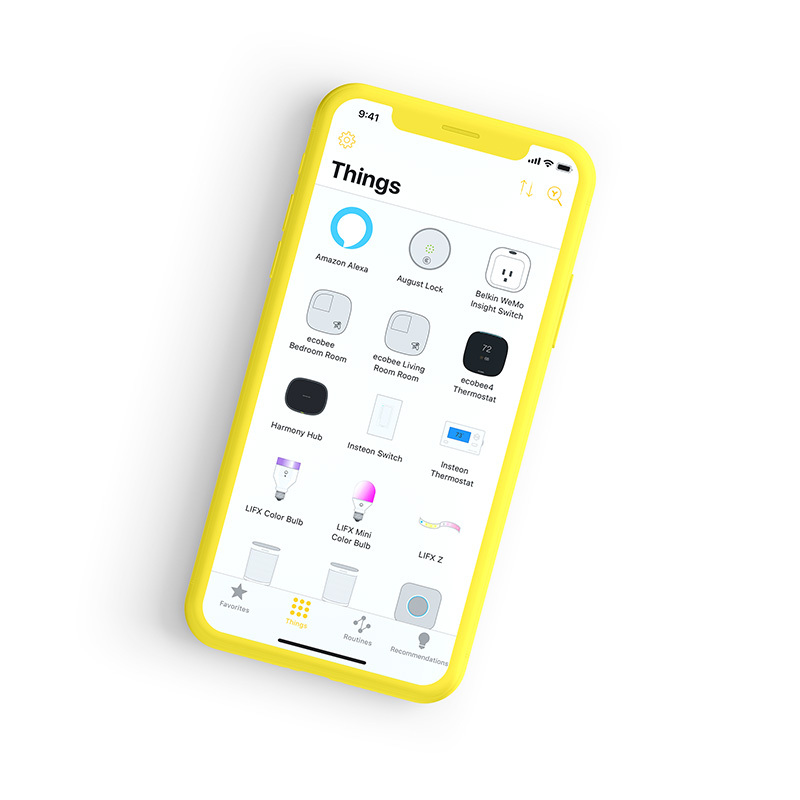 And with our Alexa, Google Assistant, and Siri Shortcuts support, you can operate your whole home with custom voice commands.